Learn about the dangers of smoking and how to get help. You know that smoking is terrible for you, yet you continue to put off quitting. There is always some excuse, some obstacle that allows you to tell yourself that you will quit tomorrow, or next week, or maybe next month. But that day never comes. As the New Year approaches, what better time to make a commitment to get help and quit smoking? Yes, nicotine is addictive, and quitting isn’t easy. But, the good news is, you don’t have to do it alone. Wellworks For You can help with our smoking cessation program. Need further convincing that now is the time to quit? Let’s take a look at the smoking health risks you’re exposed to every time you smoke. Don’t let smoking continue to pull you down. Make this the year that you take this important step towards a healthier, happier you. You know smoking isn’t good for you…but do you know exactly how bad it is for you? Sometimes seeing the cold hard facts can provide the necessary motivation to take action. Cigarette smoking is the leading cause of preventable death in the US. Every year 480,000 people die from smoking. Smoking increases the risk of coronary heart disease by 2 to 4 times the average rate. Smoking increases the risk of stroke by 2 to 4 times. The risk of lung cancer is increased by 25 times. Smoking reduces fertility in both men and women and increases the risk of complications before, during, and after birth. Smoking increases your risk of developing cataracts (clouding of the eye lens which impairs vision). Smoking increases the risk of diabetes by 30-40% among active smokers. Smoking can cause rheumatoid arthritis. Smoking affects the health of the mouth and gums and can cause tooth loss. Smoking increases inflammation in the body and decreases immune function. Don’t put off quitting any longer–make this the year that you take control of your health. 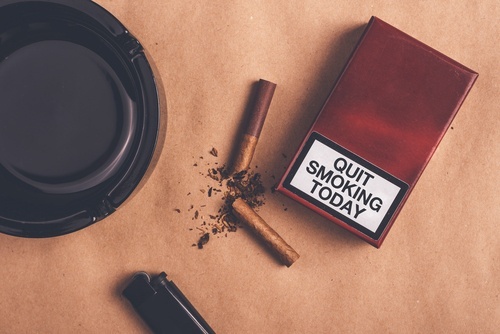 Check out our eBook on smoking cessation programs and contact Wellworks For You today to get started!